Group Super Junior’s ‘Sorry Sorry’ is #1 on Taiwan’s 2009 Top 100 single, picked by a local radio there. Taiwan HitFM picked ‘Sorry Sorry’ as #1 for 2009 Taiwan top 100 single looking at top 100 hit songs released in Taiwan in the past 1 year. HitFM is the radio channel with the highest tune-in rate in Taiwan. Also on the chart at #11 is Super Junior’s ‘It’s You’ and at #29 is Super Junior M’s ‘Super Girl’, proving the group’s popularity in Taiwan. Earlier, it was also reported that the song ‘Sorry Sorry’ is up #1 for 30 weeks on Taiwan online music sit KKBOX for ‘Korea-Japan Top 100 Weekly Chart’. SS501 Kim HyunJoong is #1 for “Male Idol Star who shines in Hanbok”! A poll followed by 300 voter is recently conducted by hanbokrent.kr, hanbok.us, hanvok.com and embrain.com. 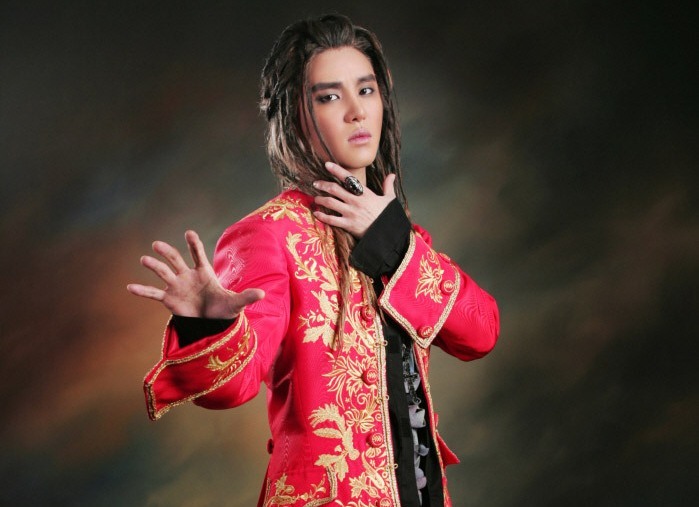 The poll was held in the month of December 2009 under the category “Male Idol Star who shines in Hanbok”! SS501 Kim HyunJoong wins the poll with 46.8% followed by Big Bang Daesung(21.1%) and 2PM Nichkhun (17.7%). 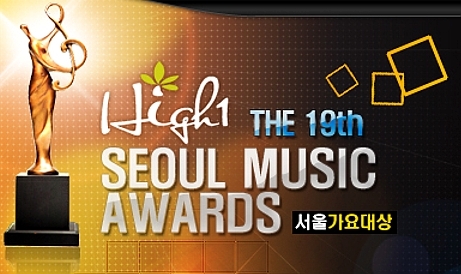 The members of TVXQ who are currently in legal dispute with their label SM Entertainment were selected by votes as the Top 4 of 2009 News Maker. 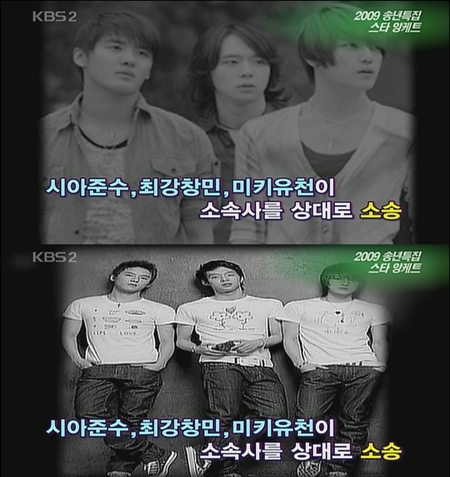 During the vote process, ‘Entertainment Tonight’ put a caption “Junsu, Changmin, and Yoochunare facing lawsuit against their label company” in introducing the case. As the problem is, TVXQ members who are actually in lawsuit against SM are Micky Yoochun, Xiah Junsu, and Hero Jaejoong. While Max Changmin and U-Know Yunhoare the members who remain in position with SM. This caption mistake is not a problem that can easily be ignored. Moreover, the news wrote ‘Micky Yoochun’ (‘믹’키유천) as ‘Micky Yoochun’ (‘미’키유천). Dong Bang Shin Ki new song ‘Break Out’ revealed in full! 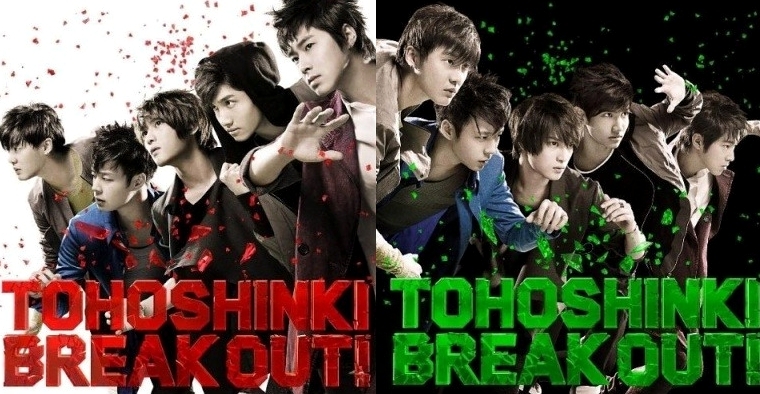 The song ‘Break Out’ off Dong Bang Shin Ki’s upcoming 29th Japanese single ‘Break Out’ set to be released on 27th January 2010 has been revealed in full! This is good news for fans amidst the anxiety with the trio of the group in a contractual discord with their management company SM Entertainment. Go under the cut for the song and single album jacket! 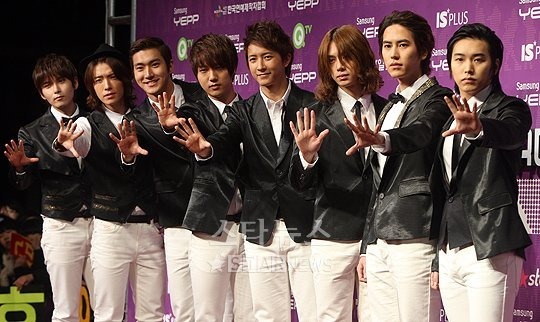 Super Junior HanKyung filed for provisional disposition of contract terms with SM Entertainment? News have came late that Super Junior member HanKyung has filed for contract termination with management company SM Entertainment. This was according to a Chinese media on 21st December, “Super Junior memberHanKyung has filed for the provisional disposition of the exclusive contract with SM Entertainment at the Seoul Central District Court. Some official photos of Dong Bang Shin Ki member Xiah JunSu’s upcoming musical ‘Musical Mozart’ has been released! Almost could not recognise him in first sight!